Alabama currently has four waivers that are open to children. All are HCBS 1915(c) Medicaid waivers. Three of these programs waive parental income; we do not know the status of the fourth. 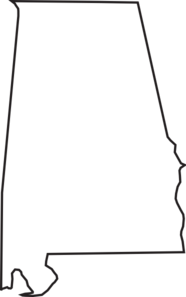 View Alabama's HCBS waiver page. Alabama also has several adult-only waivers, including SAIL and Technology Assisted Waiver. Description from medicaid.gov: Provides day hab, employment support, personal care, prevocational, residential hab, respite, adult companion, benefits and career counseling, community experience, community specialist services, crisis intervention, environmental accessibility adaptations, housing stabilization, individual directed goods and services, OT, PERS, PT, positive behavior support, skilled nursing, specialized medical equipment, specialized medical supplies, speech/language therapy, and supported employment emergency transportation for individuals with ID, ages 3 - no max age. How to Apply: Contact the Division of Intellectual Disabilities Call Center at 1-800-361-4491. For more information see this brochure. Waiting List: Unknown, as Alabama did not report the number. Description from medicaid.gov: Provides day habilitation, personal care, prevocational, respite, supported employment, behavior therapy, community specialist services, crisis intervention, environmental accessibility adaptations, individual directed goods and services, OT, PT, residential habilitation or other living arrangement, skilled nursing, specialized medical equipment, specialized medical supplies, speech and language therapy, supported employment emergency transportation for individuals with intellectual disabilities, ages 3 to no max age. Target Population: Children and adults currently living in nursing homes who wish to live in the community. Children and adults must have a physical or other health-related disability. Description from medicaid.gov: Provides adult day health, case management, homemaker, personal care, respite (skilled and unskilled), adult companion service, assistive technology, home delivered meals, home modifications, medical supplies, personal assistant service, personal emergency response systems-installation/monthly fee, skilled nursing, transitional assistance services for aged individuals, 65 to no max age, and disabled individuals (physical and other), 0 to no max age. How to Apply: Contact the Alabama Department of Rehabilitation Services. Call 334-293-7500 or use this form. You may also contact your local office directly. Waiting List: There are 204 people with physical disabilities on the waiting list. Target Population: Children and adults with physical or other health-related disabilities. Description from medicaid.gov: Provides adult day health, case management, homemaker, personal care, skilled respite, companion service, home delivered meals, and unskilled respite for aged individuals 65+, and individuals with physical or other disabilities of all ages. How to Apply: Contact the Alabama Department of Senior Services. Call (334) 242-5743, 1-(877)-425-2243, or 1-800-AGELINE (1-800-243-5463). Waiting List: There are 204 people with physical disabilities and 5080 people who are aged/disabled on the waiting list.